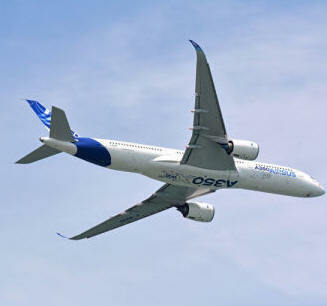 October 5, 2015 - Lightweight metals leader Alcoa has signed an approximately $1 billion contract with Airbus for high-tech, multi-material aerospace fastening systems. The deal is Alcoa’s largest fastener contract ever with the aircraft manufacturer. Alcoa’s fasteners fly on every Airbus platform. Alcoa has been growing its multi-material aerospace business to capture growth in the global aerospace market in support of its broader transformation, and has become a leader in jet engine components and aircraft structures. Alcoa acquired global titanium leader RTI International Metals, aerospace components manufacturer TITAL and global jet engine parts leader Firth Rixson. Alcoa also has grown organically. It opened the world’s largest aluminum-lithium facility in Lafayette, Indiana, launched expansions to increase jet engine parts production in La Porte, Indiana and Hampton, Virginia, began installation of advanced aerospace plate manufacturing capabilities in Davenport, Iowa, announced plans to double its coatings capabilities for jet engine components in Whitehall, Michigan and announced an investment in technology that strengthens the metallic structures of traditional and additive manufactured parts, also in Whitehall, Michigan. Alcoa Fastening Systems & Rings, a business unit of Alcoa, is a leading worldwide designer and manufacturer of fastening systems and rings, including specialty fasteners, fluid fittings, assembly components, installation systems, and seamless rings for aerospace and industrial applications. Headquartered in Torrance, California, the company has over 8,700 employees at 39 manufacturing and distribution/logistics locations in 13 countries.